We were given a free family ticket to review Drusillas Park in Alfriston, East Sussex as part of MoneySupermarket’s Britain’s Best Days Out competition. Over the last couple of months, bloggers have been visiting attractions around the country to find the best family days out. Small one loves a zoo (as do the rest of us), so we jumped at the chance. Rather than going straight away, we thought it would be nice to wait for her big brother to arrive home from university, and of course we wanted Grandma and Grandad to come too. I was going to buy the extra tickets online, but decided to just get them on the door as after the booking fee there was no real price advantage. Despite our best laid plans we ended up going, big-brotherless after all, on the coldest, windiest mid-January day imaginable. The visit didn’t start well. There are good points and bad points to visiting attractions in mid-winter, the best of which is no queuing – lucky, as the combination of freezing rain and biting winds meant that standing still was extremely unpleasant. It did feel as if a lot of things were unavailable though, and had I paid full price for all of the tickets, which would have been charged as peak-season, I would have been disappointed, especially as the fabulous looking adventure playground was far too slippery for a rainy day. Arriving at 11:30, we skipped straight to lunch in the cafe, which served pretty uninspiring fast food and had no toilets, meaning that midway through eating I had to get all dressed up in rain gear again to deliver a small child to the loo. Having said that, there is usually an alternative restaurant, which was closed on the day we visited, but may well have been more what I was looking for. The younger members of the family, who are less fussy than me, enjoyed their lunch thoroughly, especially the self-fillable individual tomato ketchup pots. The zoo itself was deserted, with the exception of a couple of other families who I suspect had also made foolish promises to their small people. Despite the weather, there was lots to see, and I cheered up as we followed the map in the guide book to find monkeys, penguins, bats, and my personal favourite, the binturong. The otters, on the other hand, were completely in their element and we waited with them for their lunch, as they ran up and down like mad things, squeaking aggressively and demanding meals with menaces from anyone who came near. When their keeper eventually arrived to feed them, an adorable baby stole the show, as he tried to get the hang of a boiled egg. Despite my early misgivings, there were lots of things to keep kids of all ages busy and interested – more than enough to fill a day. Small enjoyed the spotter books and stamper stations where you could keep a record of all the animals you’d seen and we all had fun doing the “Zoolympics”, where you could compare yourself to a variety of animals for speed, strength and volume. The highlight of this was the phonebox where you had to shout as loud as possible, proving beyond doubt that the curly one is the loudest of us all. We all competed, but none could come close (unsurprisingly – she burst her Dad’s eardrum as a baby!). We thought the animated displays and talking bins were well thought out, encouraging kids hygiene. Unfortunately, small isn’t fond of ”pretend animals” so we had to move away swiftly whenever one started. We finished the day with hot ring donuts and an exciting ride on the Thomas the Tank engine train, which took us all around the park. All in all it was a great day, and would have been even better in the sunshine. Well worth a visit if you’re in the area. We had a lovely day yesterday making hand puppets out of rubber gloves, all inspired by the Dettol competition at Mumsnet. You can win a professional puppet show in your own home just by making a puppet out of a rubber glove and sending them a picture. Like most mums-to-be, I read a fair few parenting books in pregnancy. Everyone is different, but on the whole I find I prefer the ones which pass on well-researched facts, tell you how your child develops and give you the information you need to find your own way. Too many authors seem to offer up their own limited experience as a formula for all. Stuff Every Mom Should Know is a little bit different. 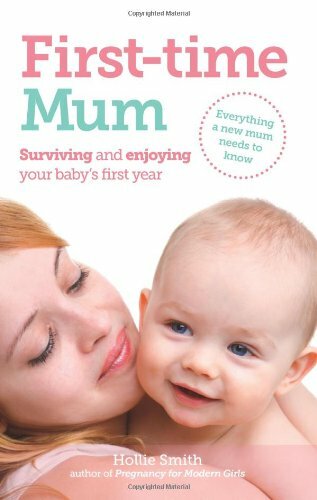 It is a (rather lovely looking) book filled with all those little gems of knowledge that you can only get from other mums – practical advice and reassurance that seems to ring true whatever your parenting ethos. It does have its issues. It could do with being revised for the British market – I personally struggle to identify as a “Mom” rather than a “Mum”. That’s just semantics, but some chapters don’t work as well for UK readers, for instance the large section on stocking your medicine cabinet isn’t a great deal of help, and I took a few pages to figure out what a “boo-boo” (bump) was. References to soccer moms and Halloween costumes also went over my head. If you can get past that, it’s filled with great ideas for parenting babies right through to teens. How many parenting books deal with the really big issues? Possibly my favourite bit is the “pick-up lines” for meeting other mums. I felt like a gawky teenager again at the mother and baby groups and would definitely have felt more confident armed with a few opening gambits. And what mum of a teen wouldn’t like advice on “how to hug your teen without her knowing”? All in all, it’s a great little book full of common sense, simple tips and practical advice on day-to-day parenting that made me smile. Well worth a look and a nice gift for a new parent. Stuff Every Mom Should Know, by Heather Gibbs Flett and Whitney Moss is out in March 2012 priced at Â£6.99. Disclosure: I did not get paid for this post but I did receive a sample copy of Stuff Every Mom Should Know to read and keep. I follow the Britmums Blogging with Integrity Guidelines â€“ I always write honest and truthful reviews and disclose any perks I receive!